All the affiliation news you need from V.Partners. Stay updated so you don`t miss out on the latest casino affiliate information! Let's meet at LAC 2019! 6-9th February 2019 V.Partners Team is coming to London Affiliate Conference 2019 taking place at ExCel, London. Expecting to welcome over 5,200 of iGaming professionals from across the globe, we’ve catered a networking events, pre, during, and after the event for you to grow your business and personal networks. We’re looking forward to meeting the key affiliates of the EU and CIS market, media agencies, advertising networks and operators working within the region. We will be glad to discuss with you special deals for traffic from EU and CIS markets. If you also plan to attend conference, we would like to meet you there. Don’t miss this chance to build up new partnerships, exchange performance marketing experience and have an informal chat with V.Partners team of course! 5-7th December 2018 V.Partners Team is coming to Affiliate World Asia 2018 taking place in Bangkok, Thailand. Affiliate World is the world’s premier gathering of influential affiliate and ecommerce marketers. We’re looking forward to meeting the key affiliates of the EU and Asia market, media agencies, advertising networks and operators working within the region. 28-30th November 2018 V.Partners Team is coming to SIGMA 2018 taking place in Malta at the Malta Fairs and Conventions Centre in Ta’ Qali. SiGMA 2018 will welcome over 400 sponsors and exhibitors, 200 industry-leading speakers and a record-breaking 12500 attendees from over 80 countries. We’re looking forward to meeting the key affiliates of the EU market, media agencies, advertising networks and operators working within the region. 24-25th April 2018 V.Partners Team is coming to Nordic Affiliate Conference (NAC) 2018 taking place in Copenhagen at the Marriott Hotel. The conference is one of the newest regional events that focuses on the Scandinavian iGaming market. We’re looking forward to meeting the key affiliates of the local market, media agencies, advertising networks and operators working within the region. We will be glad to discuss with you special deals for traffic from Scandinavian market and other countries. If you also plan to attend conference, we would like to meet you there. Don’t miss this chance to build up new partnerships, exchange performance marketing experience and have an informal chat with V.Partners team of course! Join us! Great news! Vulkan Vegas casino boosts its collection of games with NetEnt slots. This Swedish brand is one of the five most successful providers of gaming software worldwide. cool theme (usually games are based on famous blockbusters plots or popular characters) high RTP (payout percentage >95%) reliability (operators don’t have access to the slots settings, the gaming conditions are the same for all players) Each NetEnt slot can boasts of a demo mode. Sounds interesting? 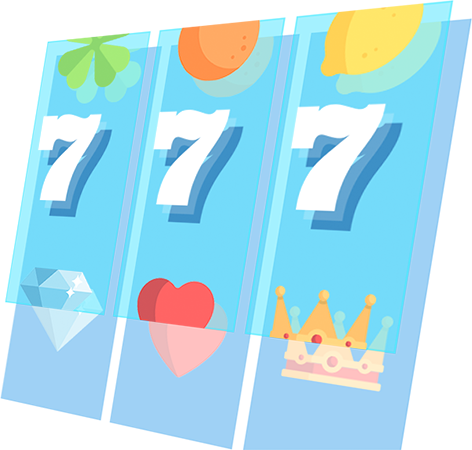 Start to attract traffic to products, offer players to enjoy these wonderful slots and superb graphics, and earn more! We are glad to inform you, that we are starting to accept traffic from Canada on VulkanVegas project .And also we add a new currency – CAD (Canadian dollar). The addition of the Canadian dollar allows new players from Canada to deposit in local currency, the result of this is interest of players and good percentage of conversion. New location and a new currency is new players and new traffic for you.P.S. But that is not all. On request, we increase the RevenueShare percentage for Canadian traffic to 40% for one month. Waiting for you! We wish you a good conversion! Dear Affiliates!V.Partners Team will be attending the upcoming London Affiliate Conference (LAC) 2018 and ICE Totally Gaming between the 6th - 10th of February 2018 in London. If you do too, we would like to meet you there. If you do too, we would like to meet you there. Please let us know what date and time would be best for you. V.Partners Team goes to Amsterdam to the annual Amsterdam Affiliate Conference. Please get in touch to schedule convenient time! Amsterdam Affiliate Conference is seen as a must attend event for anyone in the gaming affiliate industry. The 2016 event takes place on 7-10 June in Amsterdam RAI exhibition center. We would love to meet you all and offer you the best deals to monetise your traffic. Please get in touch to schedule convenient time!See you in Amsterdam! Happy Thursday! We've got a very exciting announcement today. We're launching our V.Partners Affiliate Program offering a whopping 35% commission rate! We’ve found the lifetime revenue model to be a great fit for our business. It takes a lot of effort to get the customers playing so we are happy to reward you as long as they play! With V.Partners you can create multiple campaigns and learn from all the related stats. To help you promote our brands to your audience, we’ve also pre-built marketing banners with affiliate codes included in the link. It is important that you make sure your account details are up to date with correct contact information and ensure that your payment details are correct. We issue payments every Tuesday no matter what! Sign up today and get started promoting and earning! Sign-up for the V.Partners affiliate program takes just a few seconds. Then you’re off and running, promoting, and gaining profit. Step away from the regular and monetize your audience with better user experience and big variety of licensed casino games.